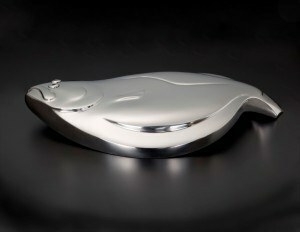 “Flat Fish” is a result of a research and development trip to the western gulf coast. I find this species especially interesting due their beautiful simple shapes and lines, a perfect model for my sculptural style. I am also amazed that flounders are born with eyes on both sides of their head and then within weeks they roll over to one side and one eye grows to the top. An adaption of nature that is truly amazing. 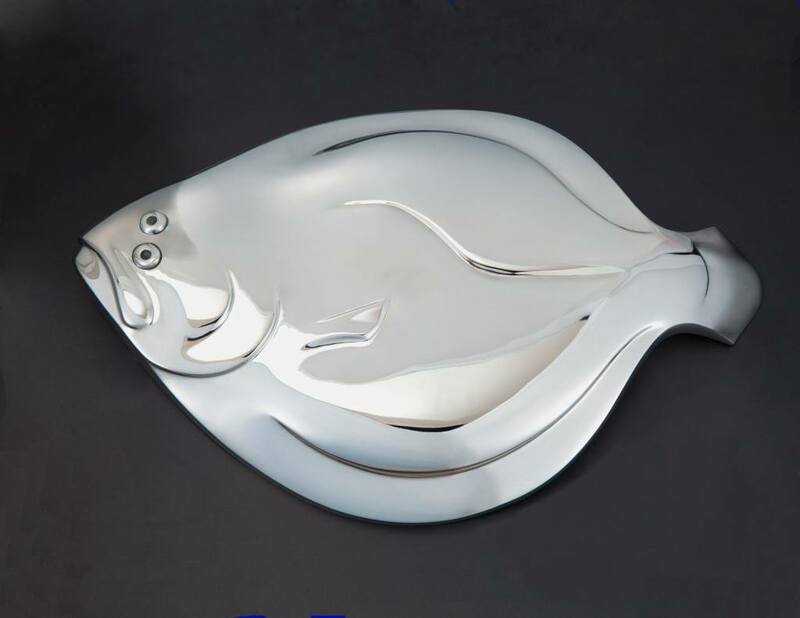 I find the flounder and their adaption to nature especially interesting, I feel their beautiful simple shapes and lines are a perfect match for my sculptural style. I especially enjoy the simplicity and contemporary nature of the high polish stainless steel and how it adds to the overall visual aesthetics of the design.